I was going to give this entry a much less appropriate title, but hey, let’s keep it PG13. I had never had much interest in Asia, as far as travel was concerned, with Sri Lanka as a prominent exception to the rule. While many of my peers went backpacking in South-East Asia or India, I dreamed of an island just off its coast. Luckily some of my friends shared that interest because when it came to picking a destination for our “lustrum” (five-year anniversary), we were unanimous. And with some financial luck, we were actually able to afford it as well. Whereas I am usually a fan of unplanned vacations, our time restriction of 10 days did not allow for such freedom. Instead, we opted for a travel agency and 10 days jam-packed with activities and travel. So after the brutal 25-hour delay, we arrived in sunny, warm Sri Lanka to meet our guide for the week and his van. Although awkward at first, he warmed up to us (and our volume) after a couple of days and even joined in on the inappropriate jokes. Having a guide take us around the country was a welcome luxury. Although the roads in Sri Lanka are very well maintained (better than the average European high-way), traffic is chaotic and public transport loosely organized at best. Which is great when you are alone and have all the time in the world. Not so much with five women and their luggage. I was immediately taken with Sri Lanka, it is a beautiful country with lovely people and amazing food. I have heard some horror stories about India, but Sri Lanka offers the same rich culture, curries and nature, without the filth and danger. We were greeted with enthusiasm and warmth everywhere, with people keen to show off their country. 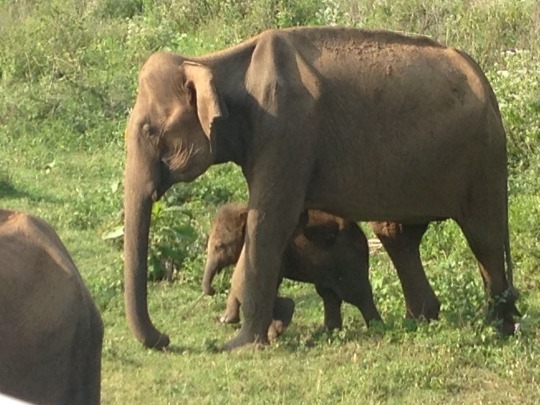 Sri Lanka has several national parks, we went to Udawalawe, where you can see wildlife, including elephants. Udawalawe also has an elephant orphanage where we visited the feeding of the baby elephants. It was one of the cutest things I’ve ever seen! Elephants are generally well treated in Sri Lanka, but unfortunately, there are still places where these animals are malnourished and abused for income. 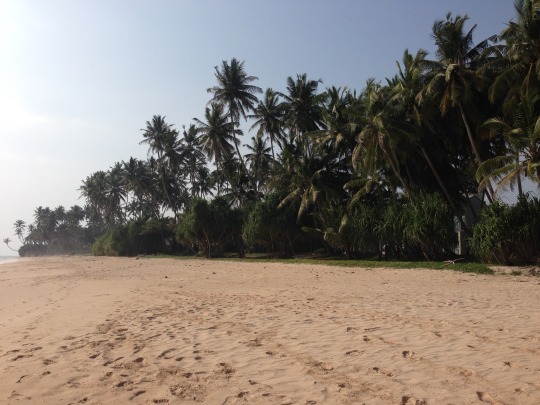 The Sri Lankan coast is splattered with beautiful white sand beaches where you can relax, swim and snorkel. There is an amazing stretch from Ella to Kandy where you cross different kinds of terrains and villages, with the most amazing views. This was so cool! Whitewater rafting is such a rush and it’s supposed to be even better during the rainy season. Some of these are tourist traps, some are genuinely great. 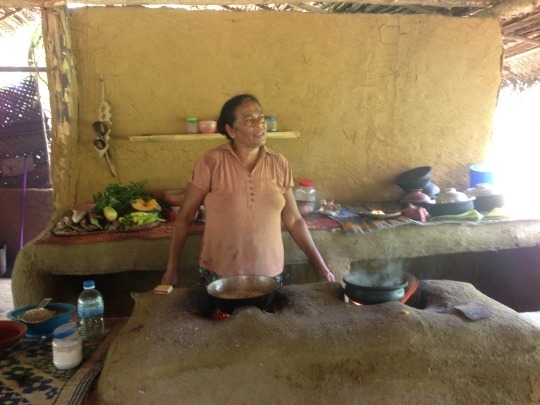 Because we got there a little early we got to watch and help a little as they made a traditional lunch. So good! Seriously, just driving around the country is enough to make you never want to leave. From white beaches to tea plantations and rice fields to jungle, there is so much natural beauty to behold. 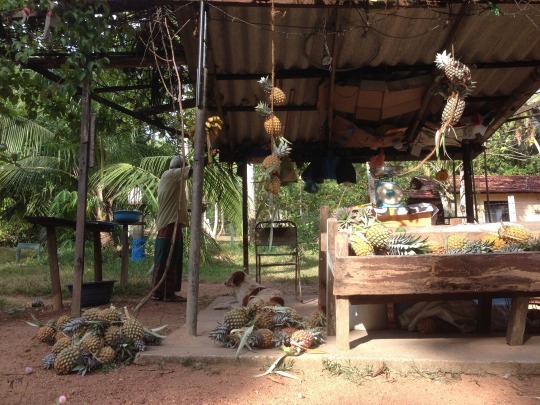 And plenty of roadside shops where you can buy fresh fruits and snacks to enjoy while you take in the views. After some serious unrest, Sri Lanka is really coming into its own and heavily investing in tourism. This means that facilities are pretty good and travelling around is easy enough both low and high budget. More and more people are travelling to Sri Lanka, but there is still plenty left to discover off the beaten path.